An essential foundation for a new shooter's toolkit. 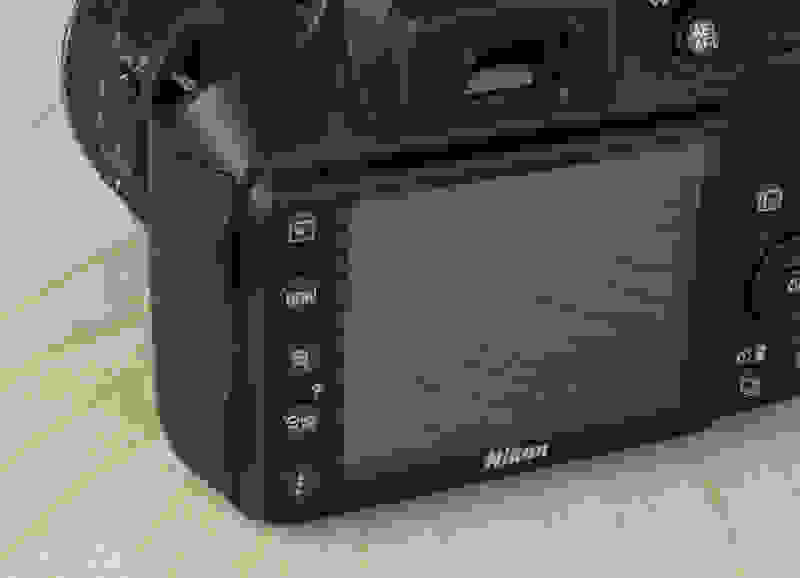 When it hit the market last year, the Nikon D3200 shook things up with the introduction of a 24-megapixel sensor at a previously unheard-of price point. Barely missing out on the title belt for entry-level cameras, the D3200 earned a respect among shooters as a solid camera regardless of its price. Hoping to build on that success, Nikon released a successor: the D3300 (MSRP $649.95). A lighter chassis, 24.2-megapixel sensor with no AA-filter, and the new Expeed 4 processor make the D3300 a new contender for a new year. This is very much an entry-level camera, but the numbers out of our labs tell the tale of a solid piece of equipment that holds its own in a sea of high-performance shooters. It doesn't hurt that the D3300 has guide modes to walk you through learning all about how to use your new SLR in addition to all the traditional shooting modes, truly making this a camera for just about anybody. The "D" stands for "Dolly"
You could be forgiven for mistaking the D3300 for the D3200 when you first see it, because it's a virtual clone of the older camera. 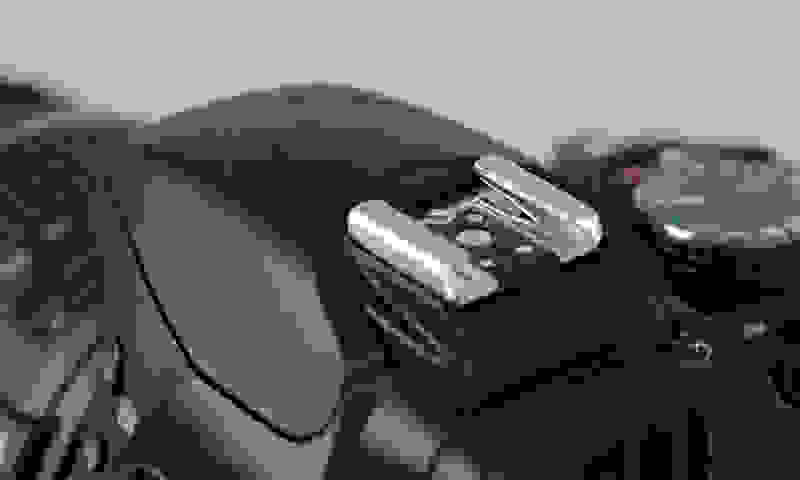 Same controls, same shape, same aesthetics—if you've ever seen the Nikon D3200, you've seen the D3300. Because the older camera set a high-water mark for the entry level when it was released, that's hardly a criticism. However, there are a few hardware tweaks under the hood that do make a substantial difference. Even an iterative upgrade is still an upgrade. 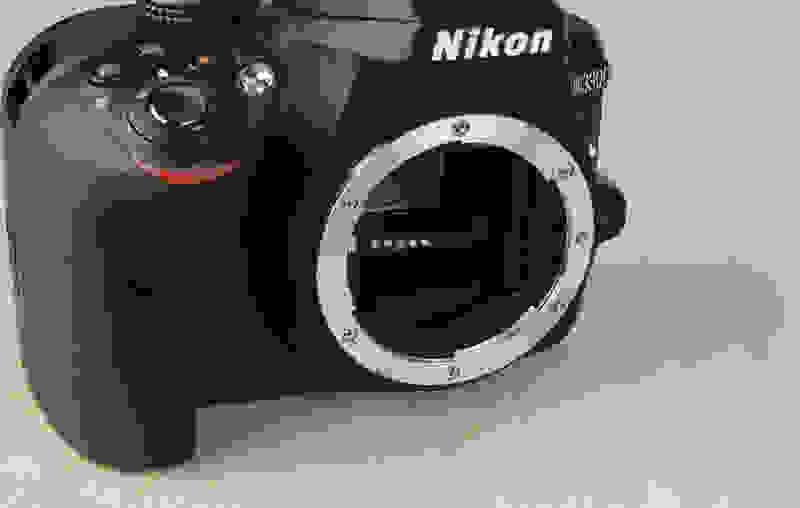 First up is the fact that Nikon removed the AA filter on its already-great 24.2-megapixel sensor. 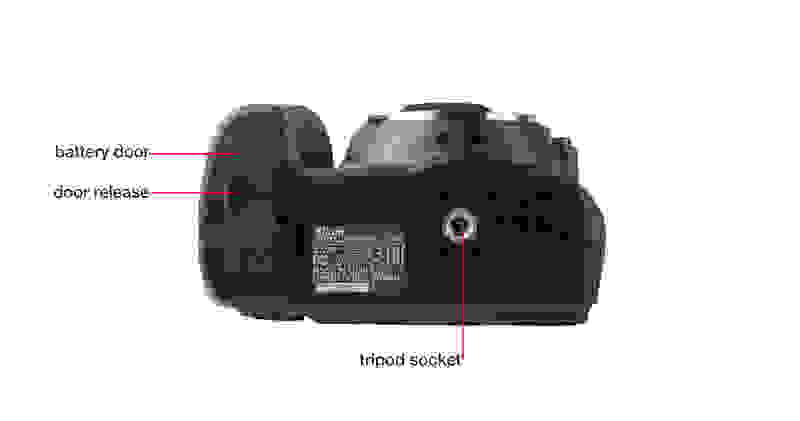 Though it may not seem like much, you can expect sharper shots without this filter on the inside. Not only does this make still shots much more crisp, but video is improved as well. To take things a step further, Nikon also gave the D3300 its new EXPEED 4 processor: Capable of handling more data at faster speeds than the older EXPEED 3 processor found in the D3200. Though the change of one number may not seem very exciting, even an iterative upgrade is still an upgrade in the processing department. Handling the D3300 can be a little tough whether you have oafishly big hands or not. Though the grip is sufficiently deep for most, the compact body leaves little room for your fingers between the grip and the lens. Otherwise, the camera is light, controls are very easy to find, and the new 18-55mm kit lens is a lot easier to control now that it has less lever force on the camera body. The buttons all have a satisfying tactility to them, and your fingers rest naturally right on top of the control dial and shutter release. Circling back to the kit lens, it's now much lighter than before, as we noted in our first impressions of the D3300. Not only is the lens far more compact than the original version, it also makes the use of a lens lock to prevent accidental extension of the lens. That sounds convenient, but it actually more of an annoyance than anything—the camera won't shoot or play back media until you disengage the lock. 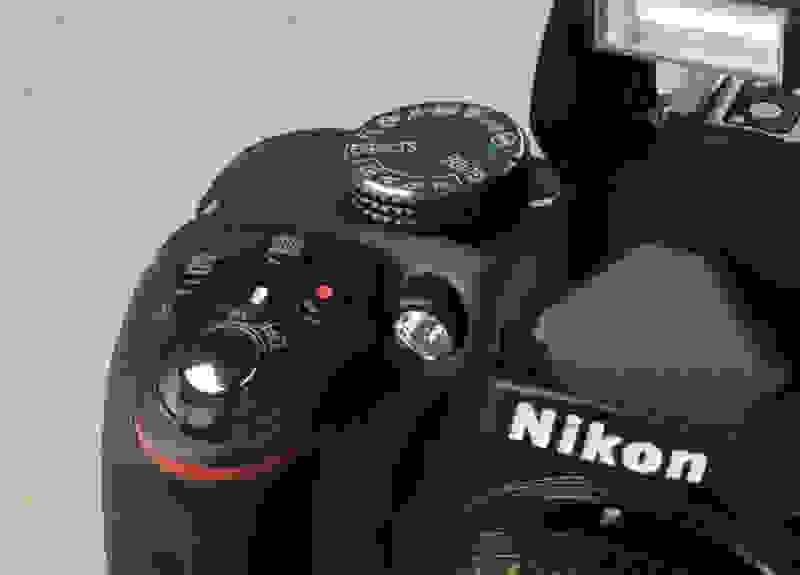 Nikon's entry-level SLRs must use their AF-S lenses in order for the autofocus to work. Though the 921k-dot LCD on the back of the D3300 is fixed, taking shots at extreme angles is fairly easy to do one-handed due to the reduced weight. You may bemoan having to disengage the lens lock every time you shoot, but it's a minor inconvenience at worst—you can always grab a different lens! 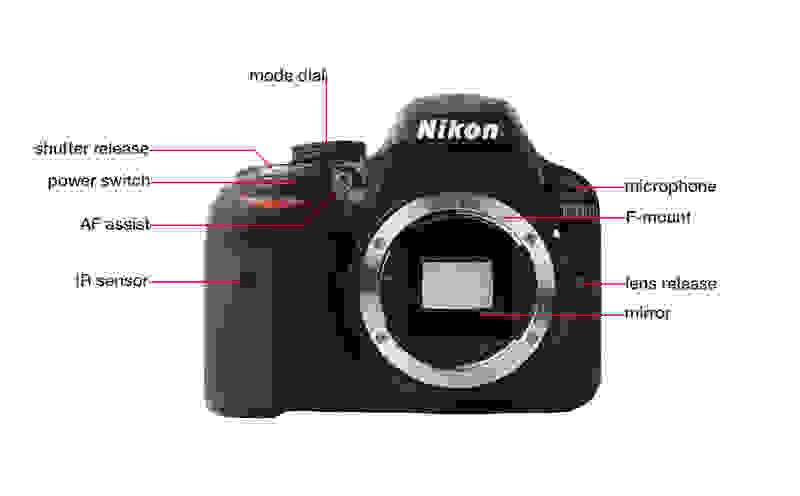 Just keep in mind that Nikon's entry-level SLRs must use Nikon AF-S lenses in order for the autofocus to work. 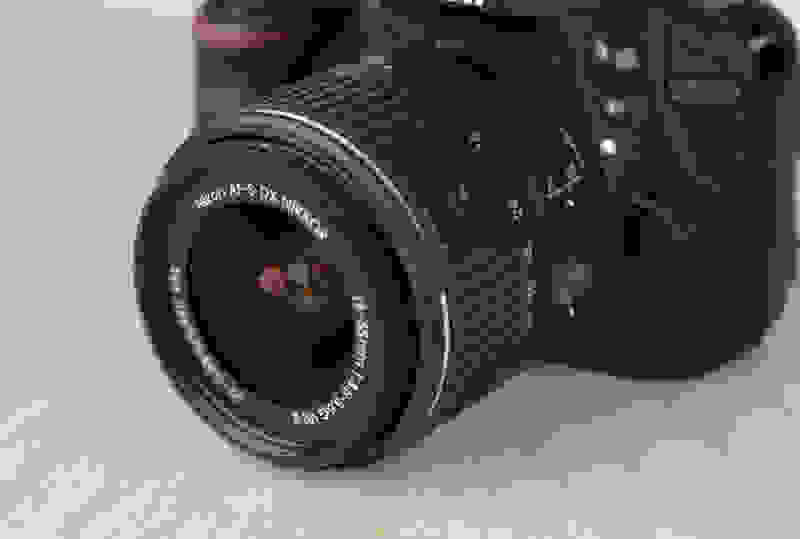 In theory, just about any F-mount lens will be able to function on the D3300, but unless it bears the AF-S designation, you'll be focusing manually. There are plenty of affordable lenses available with the AF-S system like the AF-S Nikkor 35mm f/1.8 prime lens, so there's no reason to worry about getting left in the cold. Shooters used to SLRs of old may not like the one control dial, but it's something you get used to. 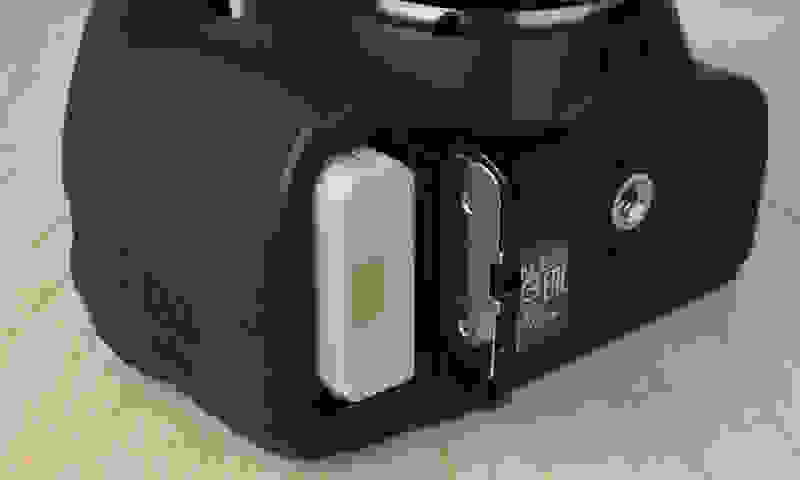 All it means is that you may want to spend more time in shutter or aperture-priority mode if you don't have time to toggle each setting one at a time. Beyond that, there's nothing you can do to speed up the control scheme. It can be tempting for newer users to stick to the live view to frame shots, but it's a better idea to learn to use the D3300's optical viewfinder. Moving the mirror aside with the live view toggle adds several seconds to each shot that seem like an eternity if you're trying to capture a single moment in time. In time, not only will your shots take less time, but controlling the camera will rely more on muscle-memory than hunting for the right settings. The term "entry-level" might seem like a pejorative, but there's nothing wrong with appealing to beginners—the quickest way to bring people into the fold is to teach them. To that end, novices will definitely want to check out the Guide mode. Using this setting, the camera will simplify the interface—but show you everything it's doing at the same time. After you've been shown the ropes a bit, you'll be more up-to-speed with the ins and outs of shooting with an SLR. If you supplement your shooting with a class or some reading, it won't be long before you're pushing the potential of the D3300. 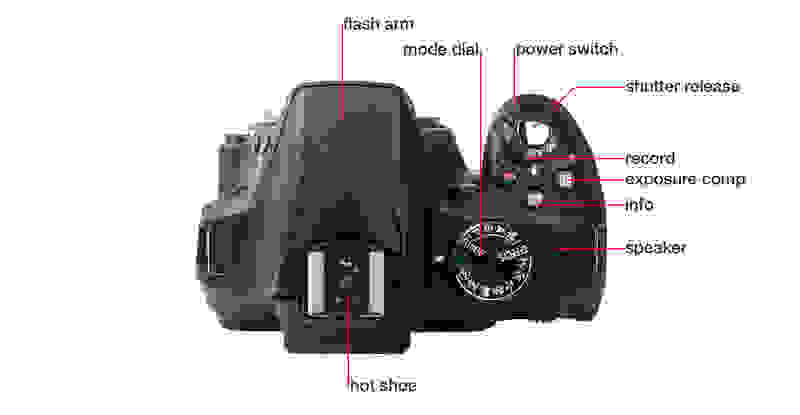 If you're already familiar with shooting on an SLR, you'll probably stick to one of the classic shooting modes. However, there are plenty of photo effects and in-camera editing options for you to test out. 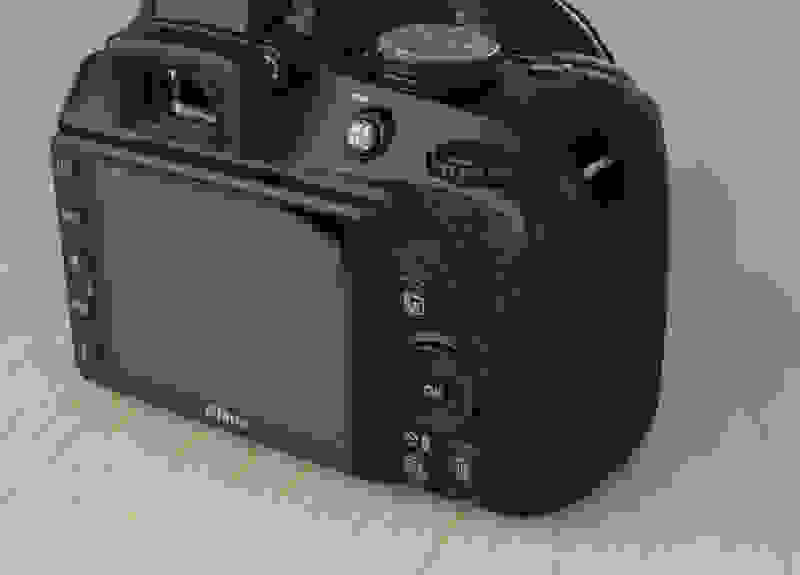 The photo effects menu has some of the more common filters popularized in recent years like faux tilt-shift, selective color, and easy panoramas. Beyond a few basic options, the D3300 doesn't clog up the spec sheet with tons of extra features. That's really okay, but if you want quick access to sharing snaps over WiFi or GPS features, you're going to need to look at more serious options like the D5300. 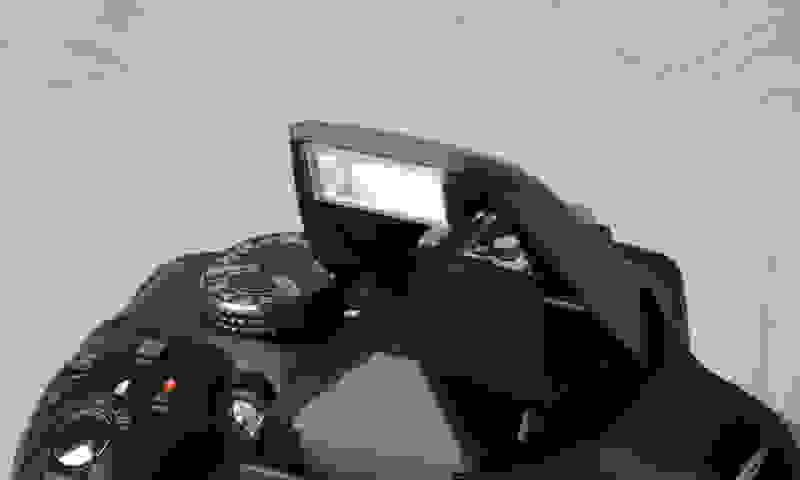 Keep in mind, though, that spending more on a camera isn't the only way to get photo effects, and having the ability to swap lenses in a pinch is the single most important feature an entry-level camera can have. When it comes to performance, Nikon's D3200 was no slouch. It had a much higher megapixel count than all its competitors, and though its processor wasn't great, it gave the camera a decent drive mode topping out at 4 frames per second. With the D3300, Nikon took an already-great camera, juiced it up with a new processor, and ditched the AA filter. Consequently, still shots and video are not only quite sharp, but can be taken faster (and with fewer errors). The beefed-up guts of the D3300 run circles around its predecessors, and offer a level of image quality competitive with other cameras in this price bracket. Though we're not talking about a professional camera by any stretch—anything "above average" at this price is praiseworthy. You should be able to get reliably sharp and very color-accurate snaps at a resolution ideal for print—great for family albums and budding art students. Nikon's entry-level cameras have often been good with low-light sensitivity, and the D3300 is no different. If you end up shooting with a higher ISO speed, you'll notice that there's a bit of noise, but it never gets wildly out of control. Even if you're shooting without high-ISO noise reduction, the camera never adds more than 2.47% noise (at ISO 25600) to your snaps, meaning you can take this camera to just about any lighting situation and get snaps relatively free of ugly grain. However, low noise comes at a cost: Fine details get lost in the shuffle the higher you push the ISO speeds. Fine detail drops off quickly, but as a result of noise. Given that, it shouldn't be much of a surprise that the D3300 can take video reliably well even in low light. Typically cameras suffer a huge dropoff in sharpness and picture quality the less light you have, and the D3300 does suffer at night. However, it's able to record a broadcast-quality image even by candle-light: Something that the vast majority of cameras cannot do. Unless you're traveling, one battery should hold you. Though power efficiency isn't always something that comes up in a review, we felt it necessary to point out that the D3300 has a CIPA rating of 700 shots; a giant leap from the D3200's already-respectable 540. If that seems a bit hard to quantify, think of it this way: 300 shots is a reasonable number of snaps to take in a day with an important event. If you were to use the D3200, it'd be wise to recharge after one outing. However, with the D3300, you'd probably be able to squeeze in another full day of shooting easily—even if you use some of the more power-hungry features like the live-view. Though it never hurts to have an extra battery around, it's not a necessity. Unless you're traveling, one battery should hold you. As tech journalists, it's tempting to pooh-pooh iterative upgrades as worthless updates when more dramatic changes are more fun to write about. But progress is still progress, and that's worth celebrating. The Nikon D3300 exemplifies this quite well, I think. 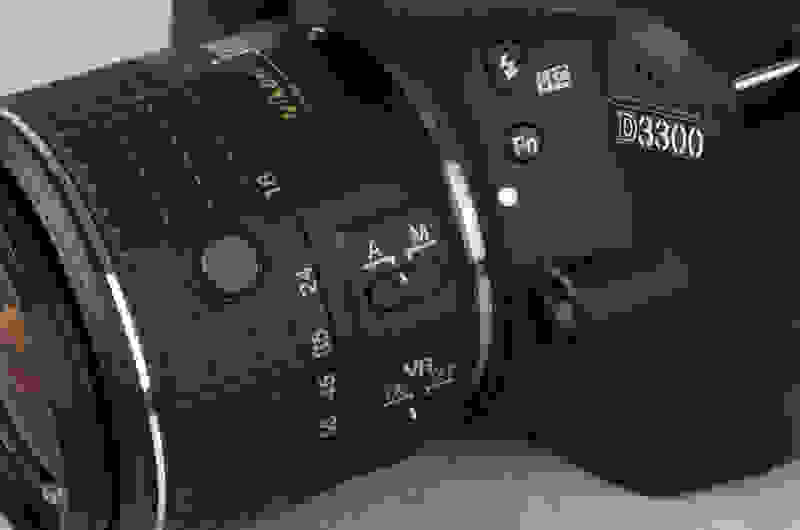 For $50 less than its predecessor, the D3300 offers better performance in every category, with very few notable tradeoffs. If you've been waiting for an entry-level DSLR to check all the boxes on your wish list, it's tough to argue with what the D3300 has to offer. It's tough to argue with what the D3300 has to offer. Sure, it's not going to wow enthusiasts. Those numbers on the spec sheet may sound impressive, but the control scheme is a bit slow for those used to something more substantial. 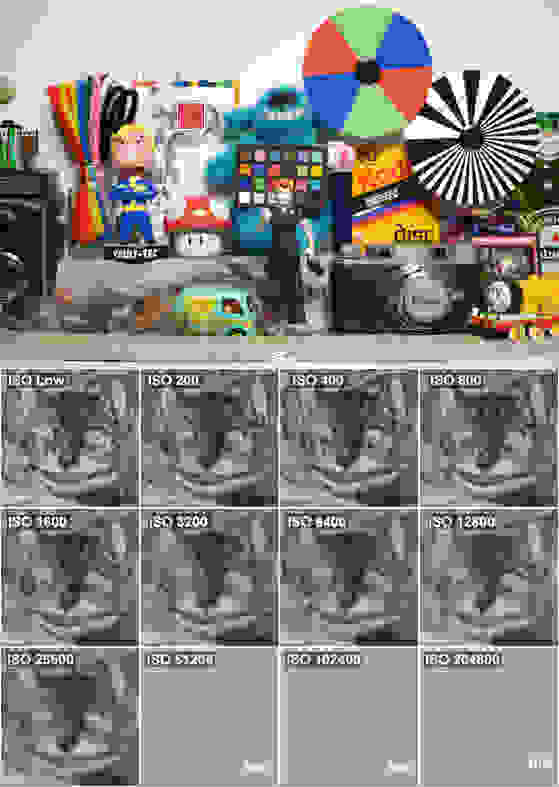 That's really okay—this camera wasn't meant to be an alternative to the D4s or anything. It's not meant to be a flashy piece of equipment, it's meant to be the reliable tool you use over and over again to produce great photos. The Nikon D3300 is a good entry-level option. It offers a higher resolution than its direct competitors, a similar shooting experience, and a performance to hang tough with the rest of its crowd. The kit lens is a bit soft, but the beauty of an interchangeable lens camera is the ability to buy new glass for your body—allowing you to improve your camera's performance. If you're not sold on the D3300, you could look to other options like the Nikon D5300 for the next step up, the Pentax K-50 for weather sealing and better controls, or the Canon SL1 if you just don't want to buy into a Nikon system. However, you will notice that while all of these cameras have something to offer over the Nikon D3300, none of them quite match the D3300's resolution or video performance. A hot shoe enables the use of external accessories with the D3300. There is no shortage of buttons on the Nikon D3300. 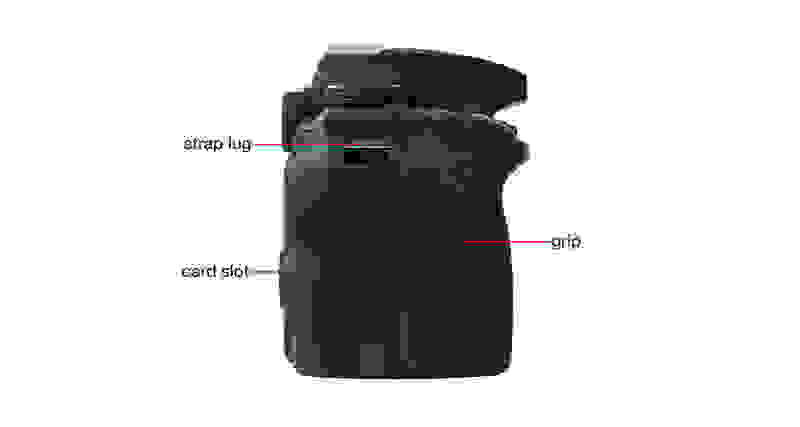 A small flash arm is stored in the top of the Nikon D3300. The standard D3300 kit comes with an 18-55mm lens. 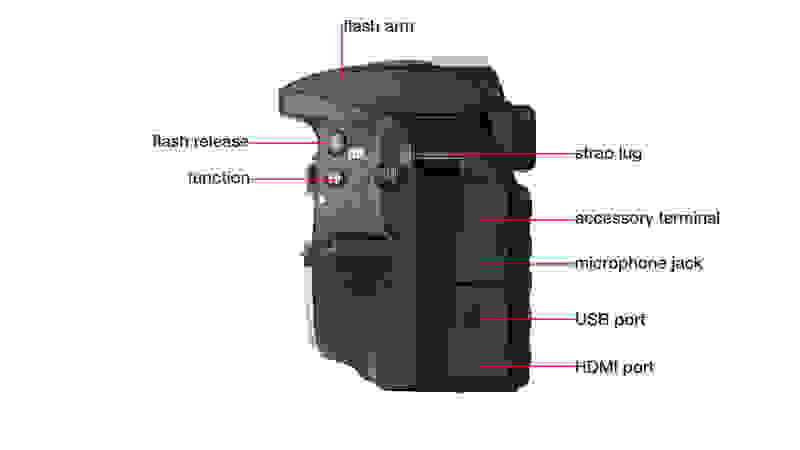 The Nikon D3300 uses a EN-EL14a lithium-ion battery. The top control cluster is a little crowded, but there's no front control dial. 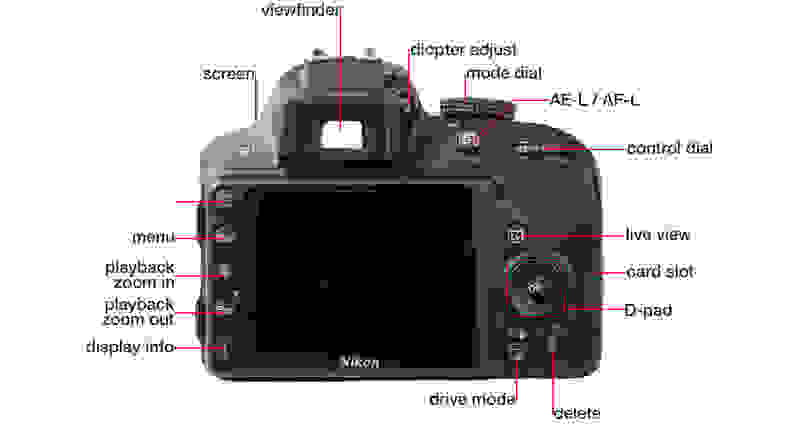 Controls are simple and easy to navigate on the Nikon D3300. The autofocus switch lives on the lens. Nikon's F-mount system opens up a world of glass to you.